What Should You Look for in a Guest Wi-Fi Platform? 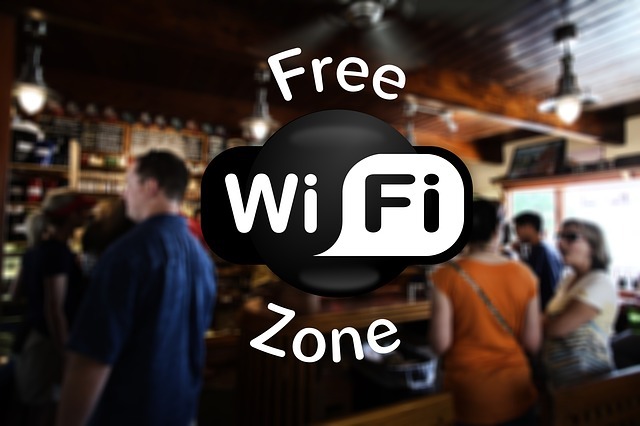 Guest Wi-Fi gives a business a better chance to attract and keep customers, by offering them the Wi-Fi connectivity they crave without compromising the security of the business’s own internal Wi-Fi network. End-user demand for Wi-Fi is high: consequently, there are many guest Wi-Fi solutions on the market, each vying for adoption by enterprises. So, which factors should you consider when making your choice? This will naturally depend on your business goals, preferences, and possibilities. Do you just want to make basic Wi-Fi available to your customers? Do you also want to get to know your customers better, by seeing how they use their guest Wi-Fi connections? Do you want to drive part of the content they see with your own messages, promotions, and invitations to use your app for their benefit? The following are some of the key features to review when assessing a guest Wi-FI platform to help you make the choice that best matches your business requirements. This is by no means an exhaustive list but provides a guideline. Hardware independence: If you already have network equipment in place, a guest Wi-Fi solution that is hardware agnostic will be best. You will be able to use what you already have, without additional expense or maintenance effort. This is especially important if you have several locations, each making their own network hardware choices. Ease of setup: Guest Wi-Fi should help you do better business, not test your depth of IT knowledge. Initial installation should be fast and easy, as should any future configuration or changes. If you need the help pages to get functionality working, those pages should be clear, simple, and to the point, with diagrams or screen captures to help you immediately see what to do. Efficient management: Make sure the solution you choose gives you enough information and control to know what is going on in your Wi-Fi network, whether performance is good, or if problems have occurred, and if so, how to remedy them. Preferably, no specialist IT knowledge should be required to run your guest Wi-Fi successfully. Sign-Up and Sign-On: This must be as easy as possible for end-users. Email sign-up and social network logins are now common on the web and expected by customers. While security is a requirement, end-user sign-up should be as simple and as rapid as possible. End-user interaction: Some guest Wi-Fi solutions let you offer your customers coupons for redemption at point-of-sale terminals, or run surveys to evaluate customer satisfaction. In both cases, the interactions are more effective because they are more immediate: end-users, customers, guests, and so on are already in your establishment and ready to buy or give relevant feedback. Analytics: Guest Wi-Fi users can generate large quantities of usage data, ranging from mobile device type to popularity of different promotions and the sales that come from them. Guest Wi-Fi data analytics let you optimize your customer communications and interactions accordingly. Look for easy-to-use dashboards with clear charts and graphics that let you track metrics and criteria directly relevant to your business. Privacy: End-user privacy must always be respected. That means having the right security built into your guest Wi-Fi connections to prevent outsiders from hacking customer communications, or spamming end-users. Robust, security-standards based solutions not only keep your guest Wi-Fi safe, but also show that you have your customers’ best interests at heart. Content filtering: Free guest Wi-Fi may be exposed to abuse by some users. They may try to download illicit or obscene content, or connect to music or video download sites that then hog all the performance of the guest Wi-Fi network. The most effective solution is to prevent this from happening in the first place, with content filtering function to allow you to block designated sites or URLs. Content insertion: At the next level up in marketing and merchandizing via guest Wi-Fi, content insertion technology lets you drive what users see on their screens, orienting them towards information of value to them or promotions likely to attract their interest. The smarter the technology, the better it blends messages in with the Wi-Fi connections and the easier it makes it for customers to download your app for an even better customer experience. At the base of the guest Wi-Fi product pyramid, there are numerous players. At the end-user interaction and data analytics level, the field is already narrower, with fewer vendors offering smarter solutions. At yet higher levels, there may only be one or two companies offering effective solutions, like RaGaPa and its CaptiveXS solution, for example. The next step is yours. Assess your needs, see how different features should be combined to meet those needs, and then make a shortlist of suitable solutions. Make your final choice by evaluating vendor support, responsiveness, pricing, and track record. Then make the most of your guest Wi-Fi solution to serve your customers even better and boost your business!